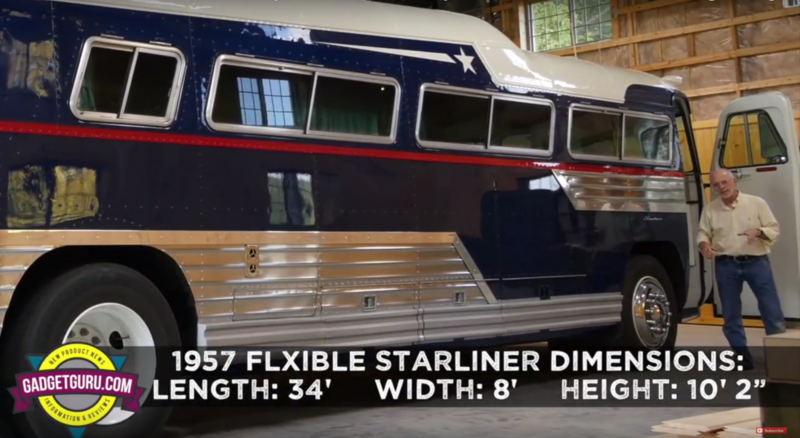 In a previous post I provided an overview and a tour of a 1957 Flxible Starliner. 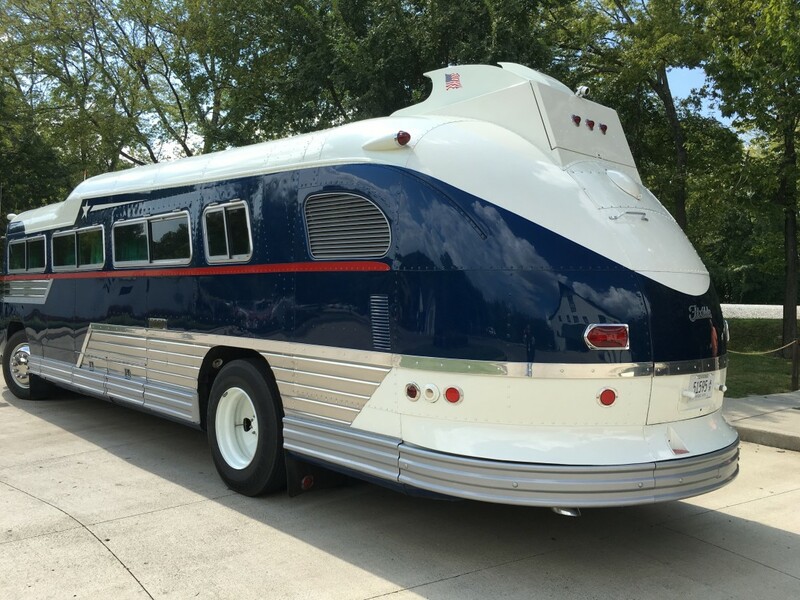 So to the naysayers who felt that I was just a perpetual tire kicker and would never actually buy a motorhome, I can now say I’m the proud owner of a piece of American history, a 1957 Flxible Starliner! 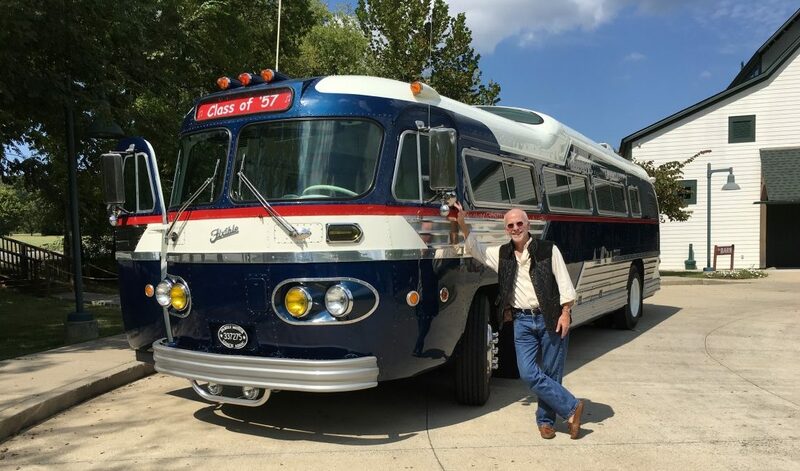 The big question is: After having my sights set on purchasing a luxurious, fully featured 45-foot, Class A motorhome, how the heck did I end up with this 59 year old bus? The answer is simple: It was a coincidence. Maybe it’s fate or possibly kismet, but an unplanned series of events led to this purchase. I’ll give you the short version upfront, then I’ll go into detail of my reasoning behind the decision to go retro. …if you’re shopping for a new motorhome, take the time to read all eight chapters of RVDailyReport.com’s Motorhome Death Spiral series. This series was the catalyst that caused me to take a new Class A motorhome off of my wish list. 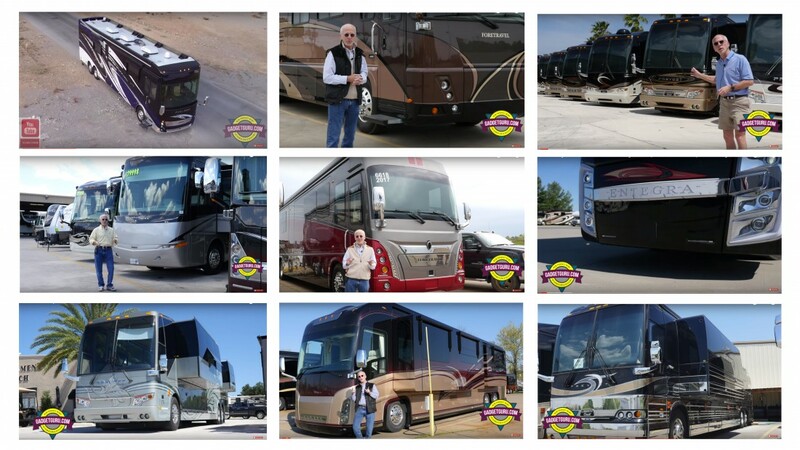 I’ve been interested in purchasing a luxury motorhome for more years than I care to remember. I’m at the stage of life where I have the time and resources to follow this dream and became serious about making a purchase more than a year ago. I shopped, researched, visited various manufacturing facilities and spent quite a bit of time on a number of online forums in my attempt to learn more about the differences between brands, models, floor plans and the industry as a whole. 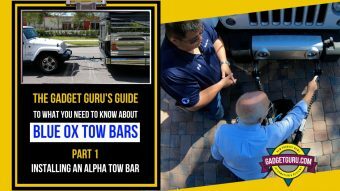 Since I had no experience with motorhome ownership (although I was honored as the RVIA’s Journalist of the Year nearly 20 years ago), I thought it best to learn to drive and feel comfortable operating a large motorhome prior to making a purchase. After all, there’s “Driver’s Education” classes for new car drivers and it made sense there would be an equivalent program for new motorhome drivers. However, as I soon learned, finding locations that would train someone who did not yet own a motorhome was a tall order. I started my “learn to drive” quest by contacting the RVIA’s PR department for guidance and came up empty. Simply stated, I spent quite a bit of time and went to great expense to find locations who would provide this service. 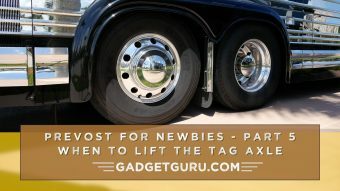 The more I researched, in person and online, due to what I learned to be initial quality issues with new motorhomes and potentially long waits for service at even the largest of dealerships, the less excited I became about owning a new mainstream model. I’ll add that if you’re shopping for a new motorhome, take the time to read all eight chapters of RVDailyReport.com’s Motorhome Death Spiral series. It’s truly eye-opening and I can only hope this well researched Editorial series sparks change in the RV industry. This series was the catalyst that caused me to take a new Class A motorhome off of my wish list. 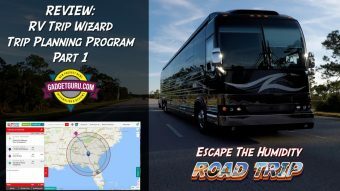 Nearly a year into the process I started understanding the positive aspects of purchasing a pre-owned Newell, Prevost or a Foretravel motor coach over a new Class A model. There are some well cared for pre-owned motor coaches on the market that sell for a comparable price as a top-tier Class A motorhome. 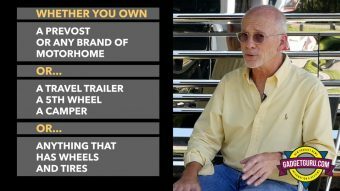 If I could find the right pre-owned model and put a few dollars into it for upgrades, I felt it could deliver a higher level of reliability than a new Class A motorhome. Through a referral I found a Prevost model that came highly recommended, traveled to Tennessee to see it, but it sold before I had the time to make a decision. So, I flew back home to Florida coach-less. After seeing this pre-owned Prevost coach, I contacted my insurance agent for a quote and started the due diligence process as well as sought information about the selling service center. 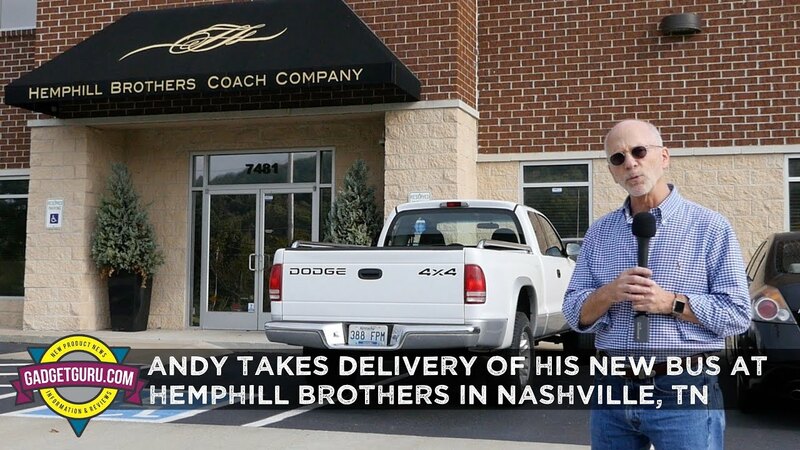 I contacted a Friend (Jim) who used this service center in the past for his Prevost coaches and he gave it high marks. During this conversation Jim told me that he and his Wife were considering selling their restored ’57 Flxible Starliner, but it would take a special buyer who appreciated a bus of this vintage. Jim felt this would be a good fit for both the bus and myself. While it wasn’t on the market and they weren’t positive they wanted to sell, I thought this would make for a good story for this site and decided to take my cameras and visit Jim and see this bus. I’ll point out that a vintage model was not even a blip on my radar as I had no desire to buy a bus that’s nearly as old as I me! 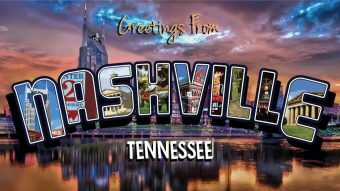 Just a few weeks later I returned to Tennessee to see it…and it called my name. If this bus doesn’t say The Gadget Guru, I don’t know what does! While common sense tells me that owning a vintage bus will present its share of challenges, after taking two extended test drives over a period of two days, I was surprised at its solid feel and relatively quiet and smooth ride. There were no creaks, squeaks and I didn’t see any evidence of leaks. Yes, there was an annoying wind noise at speed, but I learned this was coming from the position of the side mirrors and that may be able to be corrected with a set of replacement mirrors or possibly by a simple relocation. …as soon as I sat behind the wheel and put it on the road, I could hear it calling my name. There’s no better way to describe my thoughts than to say, there is something very special about this bus. Let’s face it, it’s shorter in length, height and width of other models I was considering and it lacks any hint of the modern technologies that I thought were necessities. However, as soon as I sat behind the wheel and put it on the road, I could hear it calling my name. While I know there were compromises in owning a vintage bus and it could be challenging finding parts in the future, owning a vintage bus of this type would be a great hobby for me and an ongoing learning experience. Yes, there’s no expansive room slide outs, no fancy remote controls and no washer dryer…but did I need those things to have a fun adventure? I’m happy to report the air conditioner kept the bus cool during an 88 degree Tennessee day and the lack of power steering wasn’t as bad as I had imagined. While this may not be the motorhome I would feel best suited to take on multi-week long cross country trip, it seems ideal for a long weekend getaway at one of the many campgrounds and motor coach resorts located within a few hours drive of my home in the Great State of Florida. And surely it will be fun to take this bus to enthusiast events. While I can’t predict the future, if all goes well and I’m having fun, I won’t rule out the possibility of adding another motorhome and create my own mini-fleet to have one to use for long adventures along with this one for jaunts a bit closer to home. Looking back over the past year, I produced quite a few videos during the search for my first motorhome and I’m far from being finished. It’s my hope to continue to carry my cameras along my journey. 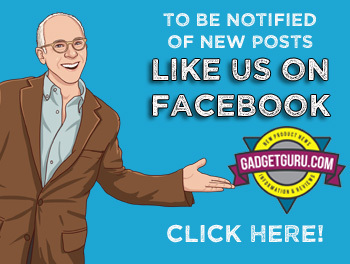 When I find something interesting or learn something new I’ll post the stories here. So, stay tuned as the adventure is about to begin.